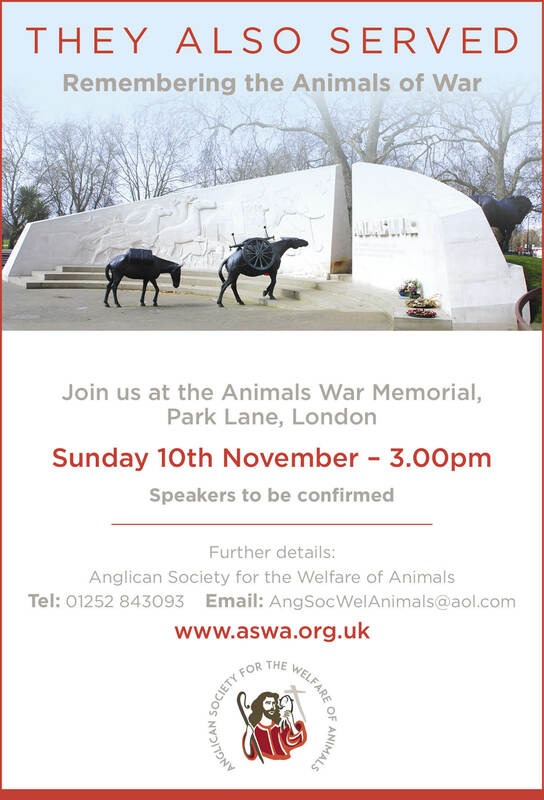 Once again, at 3 o’clock on the afternoon of Sunday 11th November 2018 a large group will gather at the Animals in War Memorial in Park Lane, London for a service dedicated to the recognition of animals in war and conflict. The service, organised by the Anglican Society for the Welfare of Animals is well attended by ASWA supporters along with those of Catholic Concern for Animals (CCA) and Quaker Concern for Animals (QCA). 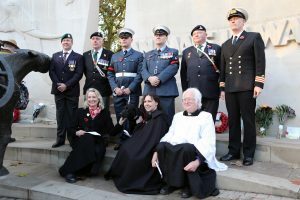 Many of the representatives lay wreaths during the service. Pen Farthing of Nowzad Dogs will give a brief address.